Current Status: Ernie's wife, Marge, and Ernie are very happy about the new release, &quot;At Wildwood.&quot; They have been chatting with many people from all over the world who either have visited Wildwood, New Jersey, or have vacationed there. They have also talked with people who live there today. The response has been great. There are so many great sights and sounds at Wildwood, and it would have been impossible to include them all in the song, but Ernie tried to share some of the highlights that the couple encountered during their trips there. In the song, Mack's Pizza and Kohr Brothers are mentioned. Here are some links for those who would like to know more about those Wildwood treasures. Mack's has been serving pizzas on the boards for over 50 years. Marge grew-up eating the pizza, and eating is what Marge and Ernie do when they are back there (see http://00591e0.netsolhost.com/FFT-WE%u2026/1000-review-web2.aspx%u2026 for more information). As for Kohr Brothers, the company has been producing Kohr Bros.
About & History: Renowned for playing multiple instruments, Ernest (Ernie) Lewis has been called a "renaissance man" in his field. Ernie is a singer and song writer who enjoys performing many genres of music. Ernie was born in Ft. Leonard Wood, MO, where he spent his childhood in the early 1960s playing in the woods, picking boysenberries, and learning his first tunes on his brother's Harmony acoustic guitar. 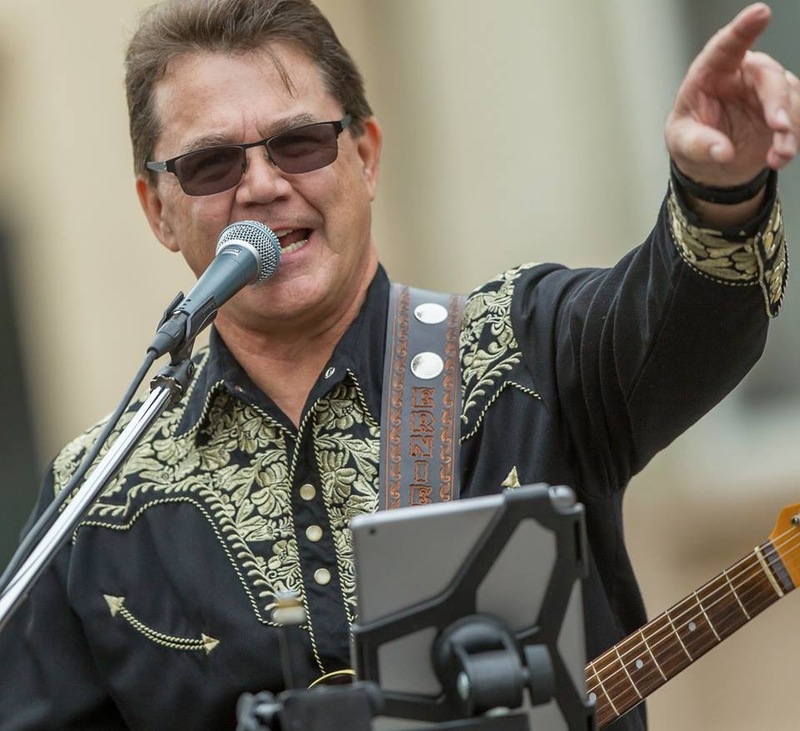 He moved with his family to Bakersfield, California, in 1966, and since then he has performed in a number of established California-based groups. In 1979, Ernie joined the company of Tom Hunnicutt, who - at that time - was the leader of a Folk/Bluegrass band, the Honeybee Ridge Gang. The gang performed at a variety of functions, one of which was hosted by Buck Owens. In 1981, the Honeybee Ridge Band disbanded, and Ernie found a new home as a member of the Moosehead Band, the brain child of Kenny Walters who asked Ernie to give his band a try, and that he did. The Moosehead Band performed up to 2009, and during the band's 28-year run, the group had the opportunity to compete in the Seagram's 7 Battle of Bands in Nashville, Tennessee, where the members represented Southern California and took 3rd place in 1983. In addition, the group opened for such greats as John Anderson, Asleep at the Wheel, the Bellamy Brothers, the Flying Burrito Brothers, and Bailey and the Boys. The band also performed with Jim Hager from the Hager Brothers, Mayf Nutter, legendary Roy Nichols of Merle Haggard and the Strangers, and Mark Herndon from the Country group Alabama. After the Moosehead Band separated, Ernie did some soul searching and discovered that he enjoyed playing Bluegrass again, and in December 2009, Ernie accepted an invitation to be a member of Highway 65, a Bluegrass group that opened for such favorites as Special Consensus and Doyle Lawson. Later, in 2012, Ernie was asked to be a member of the The Fruit Tramps, an Americana group based in Bakersfield, California. He was with that group for about 3 years. The band was a regular at Buck Owens' Crystal Palace in Bakersfield, California, but in 2015, things changed. It was during that year that Ernie became a member of Johnny Owens and the Buck Fever Band. Johnny is Buck Owens' youngest son. The group helps keep The Bakersfield Sound alive and also performs at the Crystal Palace. Ernie's enthusiasm is contagious.